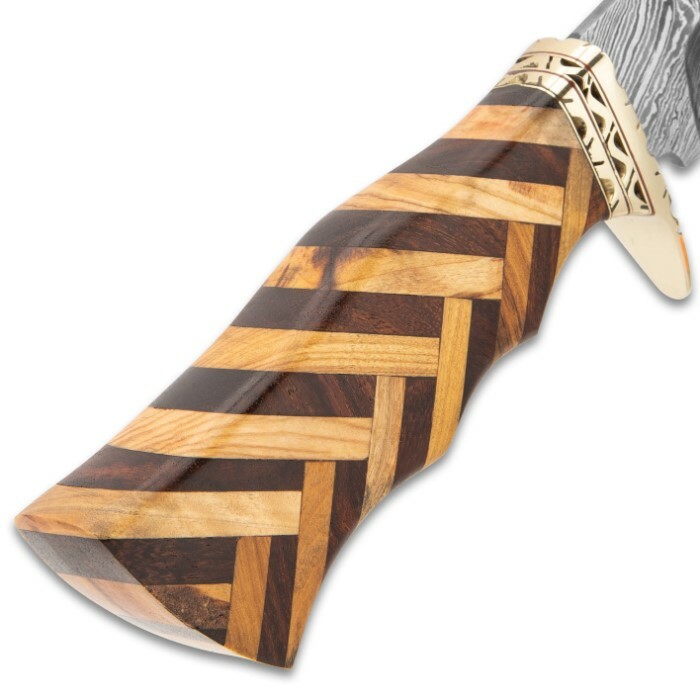 Timber Wolf Handcrafted Heartwood Knife And Sheath - Twist Pattern Damascus Steel Blade, Heartwood Handle, Brass Guard - Length 14 1/2” | BUDK.com - Knives & Swords At The Lowest Prices! 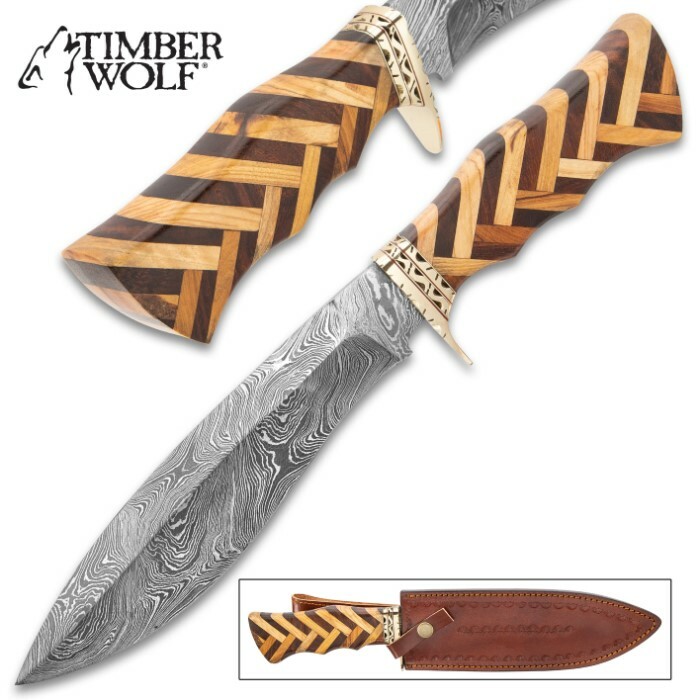 An absolutely beautifully crafted fixed blade, the Timber Wolf Handcrafted Heartwood Knife was painstakingly produced by hand to give you both a functional and collectible knife. 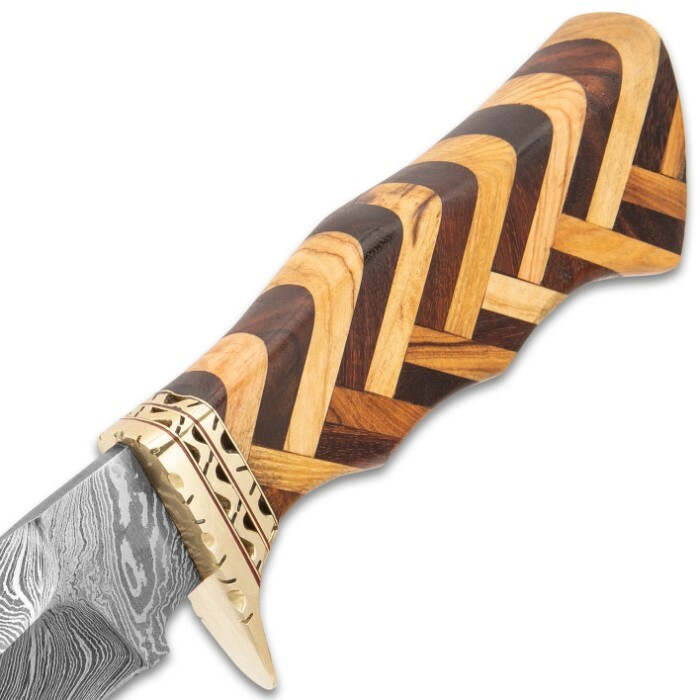 The handle is handcrafted of genuine heartwood, in a basket-weave pattern of alternating light and dark brown tones, giving it a supremely unique look that cannot be matched. It has a keenly sharp, 9” twist pattern Damascus steel blade, which extends from a hefty, file-worked brass handguard. 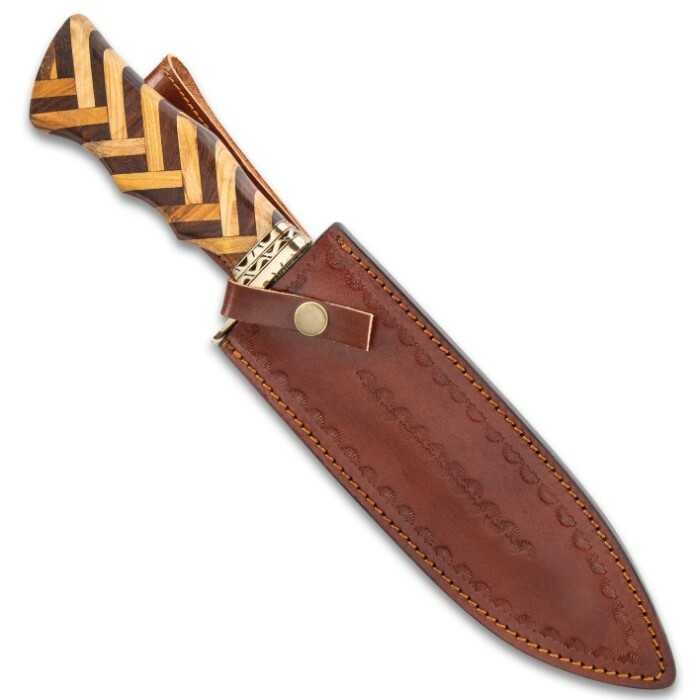 The handsome 14 1/2” overall fixed blade knife slides securely into a premium leather belt sheath with embossed decorations.